Every once in a while you need to let loose with some friends and crank up the tunes. Music is one of the most unifying forces in our world and it's a wonderful way to bring people together. If you're throwing a party, one of the highest priorities needs to be the music you're going to be playing. Music will set the tone and offer an atmosphere that will adhere to your guests' emotions in a way that nothing else can. In order to put your best tunes forward, you're going to need a good set of party speakers to blast your party beats. What to look for in party speakers? There are many scenarios in which you will need speakers. House parties, pool parties, beach parties, and many more will all call for different types of party speakers. Luckily there are numerous speaker types available for different purposes. There are outdoor party speakers, small venue speakers, portable speakers, and stationary speakers. Read on to find the best party speakers in 2019. For any party situation where you want to get peoples feet moving, this portable Bluetooth speaker will be just right. 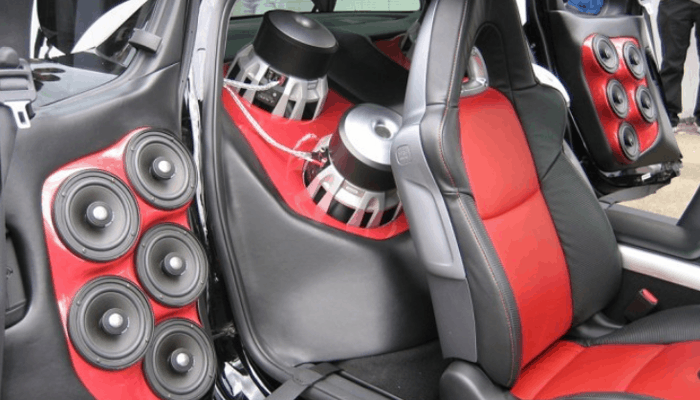 It carries the music through two tweeters with two subwoofers to accompany them. The sound is crisp and clear and the battery life is long enough to take you into the early morning. You are able to connect via Bluetooth and listen continuously at the volume of your choice for up to 14 hours. 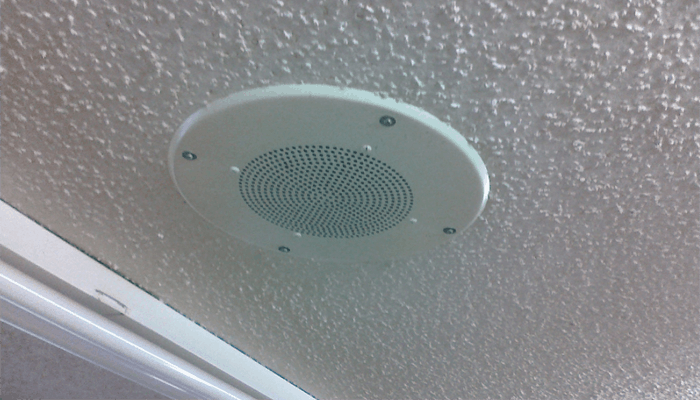 This speaker is great for any music genre and will work for any type of medium-sized party you are throwing. The speaker stands at about knee height but is lightweight and portable enough to move around when you need to. Customizable LED lights will allow you to add a tiny extra touch to the party atmosphere. The speaker is not waterproof, so as long as you keep it away from moisture, you will be rocking all night. Why We Liked It - This speaker is everything you need for a backyard or house party. The sound is loud and clear and the battery life is sufficient. 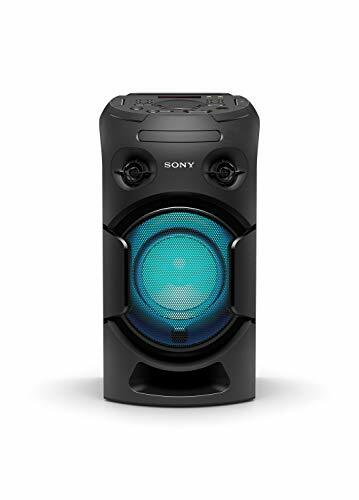 You will have no trouble creating the atmosphere you want with this Sony party speaker. If you're looking for a pair of loud Bluetooth party speakers, these may be the right ones for you. Two 1000-watt speakers which are powered are going to be best for outdoor parties or medium to larger sized events. Along with the necessary cables to hook your speakers up, they are also Bluetooth enabled for a little more mobility. These party rock speakers are a little less portable but will blast the sound that you need through the 12-inch drivers and woofers. 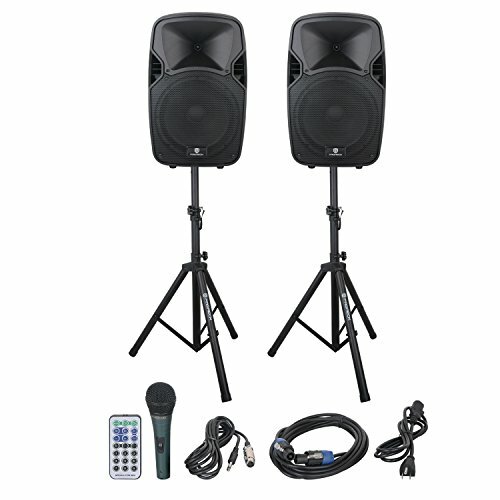 These speakers are best to hook up a DJ through a mixer or have a live band play to your crowd. 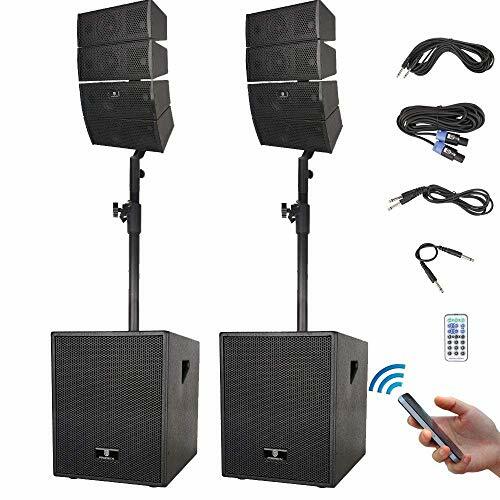 They resemble the standard type of speaker you will find at most events with a party atmosphere and will deliver the quality you need without delay. This PA system comes with everything you need to throw the best party on the block. Why We Liked It - If you're looking for a really reliable pair of speakers to broadcast the best music at your parties, then look no further. 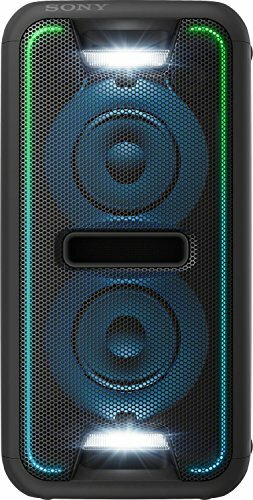 These are some of the best large party speakers on the market and won't be leaving you wanting more. Sometimes, along with a pair of speakers that gives you the best sound, you also want a speaker that ads vibrancy to the party too. This wireless active PA system is one of the best large Bluetooth speakers available to you. 1000-watts of power is thrust by a 10-inch woofer which offers deep bass and clear highs for your party. All you need to do with this speaker is connect your Bluetooth device and stream straight through the speaker. Inputs for instruments, microphones, and accessories allow you to use the speaker for many different purposes. You can use it simply as a music player for your party, or throw a little karaoke action in there when the mood is right. Everything is easily adjustable with controls on the top, and a stand is included which will hoist the speaker up to 35mm. Why We Liked It - The sound on this speaker is fantastic and it is incredibly easy to use. The LED lights add a little bit of flare for the party along with whatever lights you are using. This is one of the most versatile outdoor party speakers available. 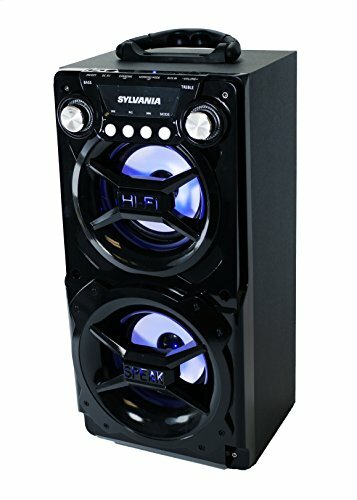 As far as slightly larger portable Bluetooth speakers go, Sylvania has created one that will keep the party going as long as you can handle it. The speaker is connected via Bluetooth easily to your phone or music playing device. The dimensions are 7 x 8.3 x 15.5 inches and it weighs only 4.55 pounds. It is really easy to move around and get to where the action is. The speaker is chargeable via USB so you don't need to have an electrical outlet in order to get this baby juiced up. It contains nice LED lights that add to the atmosphere of the party. The sound is suitable for smaller parties and comes through clearly. If you're looking for a more budget-friendly option for your low key party planning, this is the one for you. Why We Liked It - This is a very simple and straight forward speaker design. It doesn't come with a ton of confusing bells and whistles and gets the job done for a budget-friendly party speaker. Sometimes, versatility is key when you are looking to pick up a new party speaker. This portable Bluetooth speaker has a convenient two-way design that is meant to allow you to lay it down flat or stand it up for any situation. Extra bass is the focus on this party speaker. The sound is very clear and will work great for parties that need a little extra low end added to the beat. Party chain capabilities allow you to connect it to other speakers for a wider listening experience. It is connectable via Bluetooth or using the included wires when you want to have a mixer or any other system hooked up. LED lights at a little more of a pump-up feel when you need to create a bigger atmosphere. 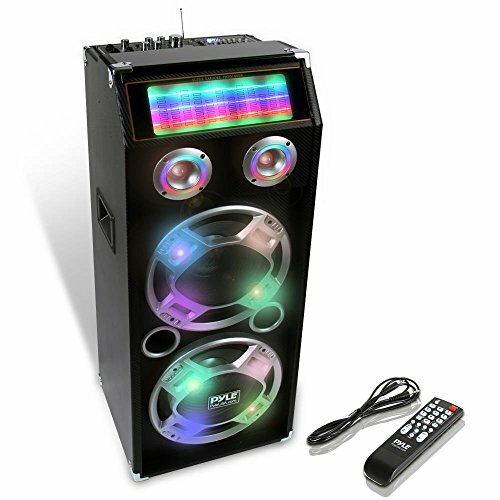 Standing 33 inches tall, this speaker will bring you loud party music but is also small enough to move around when the party is on the move. Why We Liked It - This is a great party speaker and it is really easy to use. You can set it in multiple positions and easily connect to your device. Running your best party tunes through this powerful bassy speaker will be easy and satisfying for every party you throw. When you're throwing a party, you're not always going to be doing so at your house. Sometimes you need a speaker that is a little more portable. 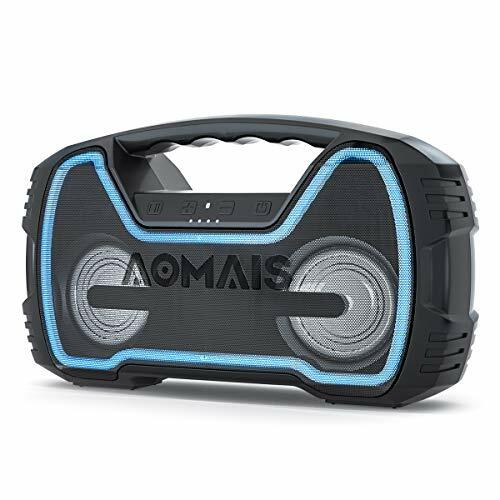 THe AOMAIS GO mini portable Bluetooth speaker is just that. It is designed to be easy to carry with you wherever you go. Whether that is the beach, the park, or anywhere the party may take you, this speaker will bring you clear and strong sound in a more compact package. A unique two-way stereophonic fractional frequency system offers a really strong bass sound with clear highs. The music will be accompanied by light-up synchronizing LED lights to give it a little more character. The speaker is also running with an IPX7 waterproof rating to allow you to get close to the water without worrying about ruining your unit. The speaker is easy to connect via Bluetooth 4.2 and will work with most devices you will be using. Why We Liked It - This is a really great portable speaker with wonderful sound. Most portable Bluetooth speakers are really small and inconspicuous. At least with this one, you know exactly where the music is coming from and it is great for semi-close proximity. If you're looking to go big, then the PRORECK Club 3000's will be exactly what you are looking for. 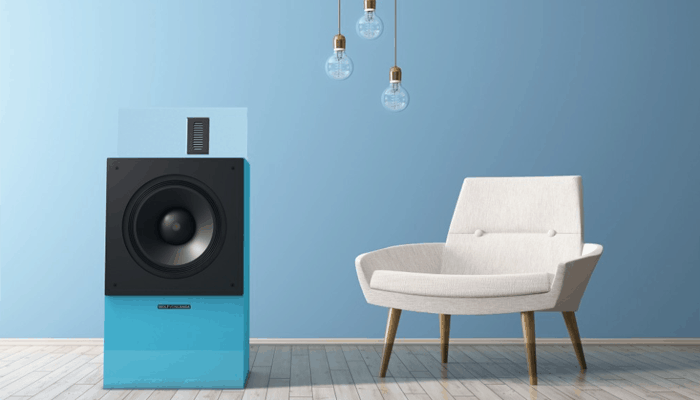 These speakers blast 3000-watts of power. This is enough to have a decent sized club bumping all night. It may even be hard for that special lady to hear that cringeworthy pick-up line you drop. In any case, these speakers come with all the professional attributes you need in a pair of loud party speakers. With active/passive subwoofers, all the cable length you need, Bluetooth connectivity, and some of the strongest sound you can find, these speakers are really dressed to impress. 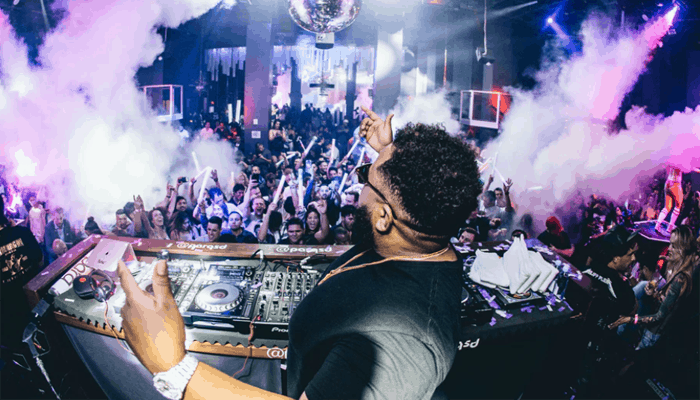 They are loaded with so many professional grade qualities that any full-time DJ or show promoter could consider them a go to. If you need the best you can get for loud party speakers, go for this one. Why We Liked It - We like them because when it comes to truly commanding a crowd with a huge sound, these speakers are right in the cosmos. This is a truly professional PA system and is perfect for anyone throwing those knockout parties for more than just friends. The last pick on our list was about going all out. This one is a little more modest and has a totally different application. 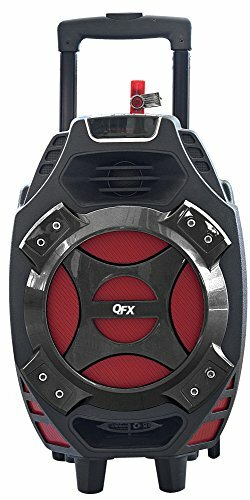 The QFX Bluetooth party speaker brings you really clear sound through an 8-inch speaker driver. It has an Aux input for when you want to connect your device, or you can connect up via Bluetooth. A microphone input is included for karaoke parties and when you need to get the attention of your guests. This portable speaker is super easy to transport with an extendable handle and caster wheels. Standing at approximately 12-20 inches, it is compact enough to fit into your car and closet easily when you are not using it. This is a great simple speaker for anyone who wants to have some quality party music on the go. Why We Liked It -This is a great pick to be able to take with you for any party on the go. The sound is really clear and it really is incredibly easy to move around. Anyone looking for a smaller Bluetooth party speaker will be satisfied. Sony comes at us again with another reliable and versatile speaker product. 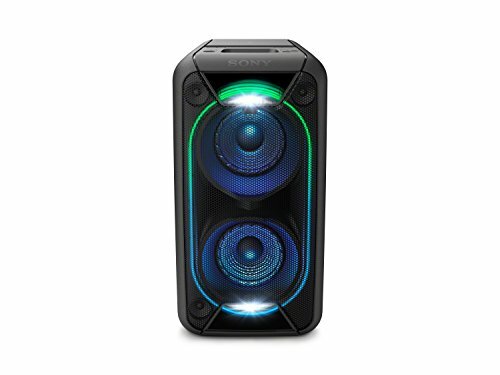 This is one of the best party speakers that you can have at home to casually listen to music as well. With two XLR mic inputs, you can connect up mics to sing karaoke or command a room. Party chain connectivity allows you to connect numerous speakers to get the sound to more corners of the party. You can run all the music and EQ controls via the FIESTABLE app which is really easy to use and intuitive. Multi-device connection allows you to have up to three different devices connected at once. This speaker is really easy to move around with it not being too heavy and having portability handles to help you move. Why We Liked It - Sony is always reliable and offers great quality in their speakers. This portable party speaker is loud and clear and easy to move. It makes it an obvious and easy choice for any portable party maker. 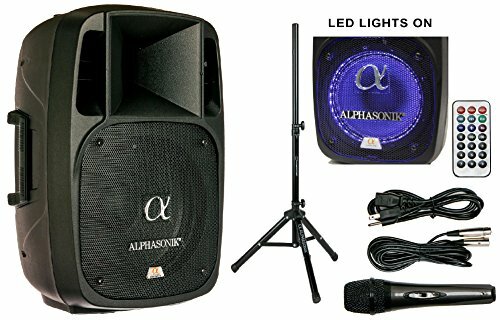 Another pro-grade DJ quality speaker comes at us from Alphasonik. 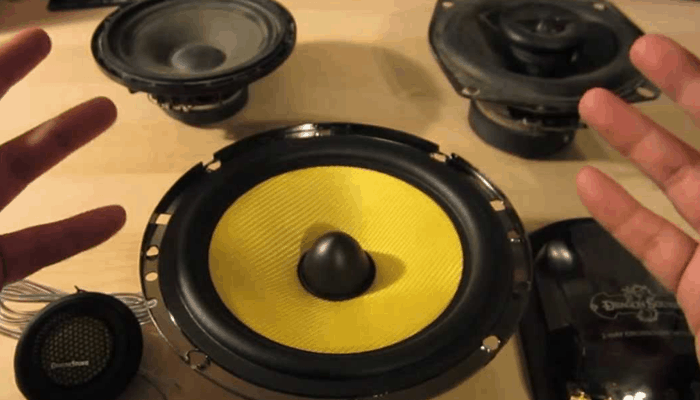 The speaker bursts the music through a 12-inch speaker at a deafening 2000-watts. Necessary cables for karaoke and announcements are included, along with the Bluetooth connectivity. The stand is included to allow you to get the music to a level where everyone can enjoy it at a comfortable level. It is designed with dual-sided air-ports for optimal sound quality. 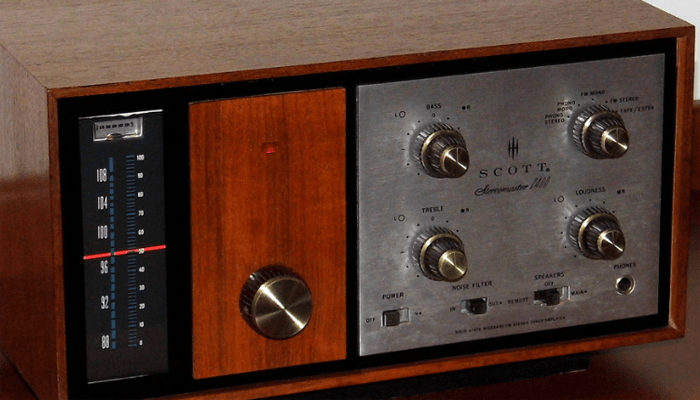 Easily control the EQ with controls built right into the speaker. Packed with all of the necessary professional features that allow you to cover the bases for all of your party needs. Why We Liked It - This is another really reliable party speaker. Connectable by Bluetooth and with the necessary wires to have mics and other systems plugged in, this speaker is great for any party, especially if you want to have a DJ or band run through it. So you're ready to put on the party of the year. But you're not quite sure what speakers you need in order to get the job done. That is understandable because there are a ton of factors to take into account when picking out the best party speakers. How loud do they need to be? How big do they need to be? Do you need them to be Bluetooth connectable, or is wired okay? Here we go over a few of the things you need to consider when picking out the best party speakers for your purpose. As you can see, speakers come with many different levels of power capabilities. You can get speakers that are battery powered and emit 10 watts of power all the way to thousands of watts. 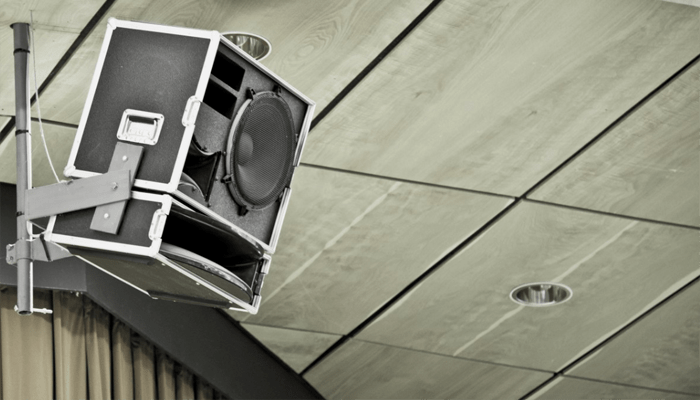 If you are looking to blow the doors off and really create an atmosphere to remember, you may want to consider picking up some party speakers that carry somewhere above 1000-watts. That way you will have the power and sound clarity available when the beat drops. If you are only going to be throwing smaller, intimate get-togethers, a much lower wattage will do the trick. How often will you be throwing parties? Will you always be using the same venue? Unless you are planning on keeping your speakers in the same location for every party, you should consider how important a factor like portability is. Moving heavy speakers around a couple of times a month or even a couple of times a year can become a huge hassle when throwing a party. 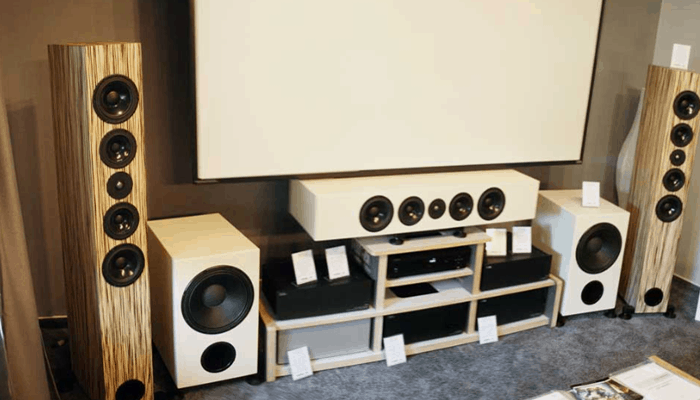 Larger speakers take up extra space which may mean you need to make extra trips to get the rest of your supplies. But then again, you may need the power that larger speakers offer. There are some fantastic portable party speakers that are a little bit smaller but still pack 1000-watts of power. 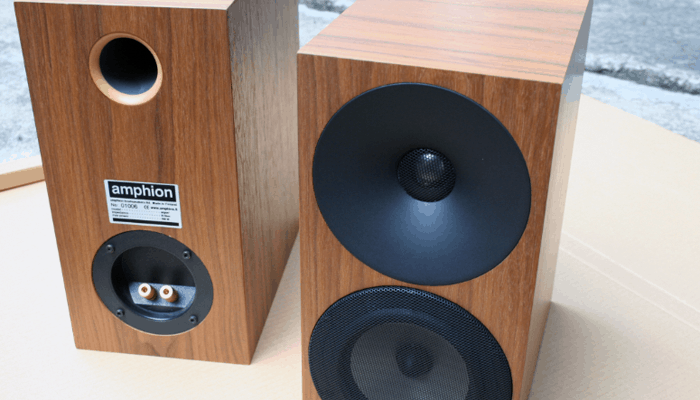 If you're going to be doing a lot of moving, consider the option of picking up a smaller speaker that has more power. The last thing you want is to set up your party and have all the guests invited only to find out your speakers aren't going to fit into the space you've picked out. Smaller speakers mean more dance floor room. If Bluetooth is important to you, then you're in luck, because most speakers these days have the capability to be connected via Bluetooth. Bluetooth party speakers generally work on a battery and you will need to take into account the amount of battery life you want out of your speakers. Ideally, you will be able to play your music for over 12 hours without needing to recharge them. That way you can keep the music going through the entire ordeal. However, wired speakers offer a little more convenience in the sense that you don't need to worry about recharging at all. The signal is generally stronger with wired speakers and you don't need to worry about the signal cutting out in the middle of everyone's favorite sing-along song. 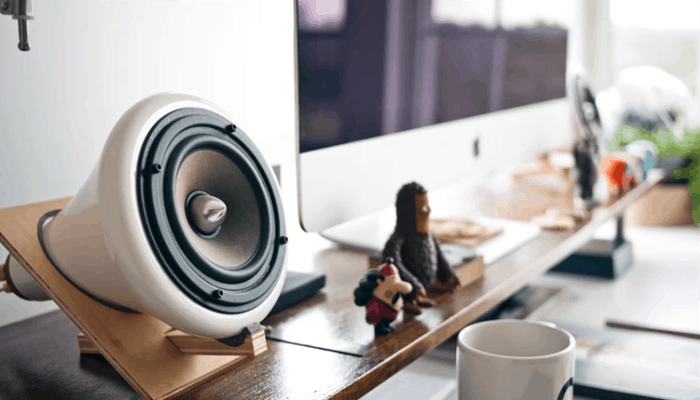 Smaller speakers tend to be better suited to have Bluetooth connectivity as the whole point of having smaller speakers is portability. A lot of this decision will come down to size, power, and capability for your party. Have you ever been at a party and had drinks spill on valuable things? It happens, and many other things do too. How much rigorousness are you going to be putting your speakers through? If you're throwing university frat ragers, then a set of speakers that can handle whatever is thrown at them may be necessary. If you have a more sophisticated social circle, you may be able to get away with using speakers that are a little more fragile. Most portable Bluetooth speakers these days are made with waterproof capabilities and are fairly durable. Generally, you should be okay in most cases, but this is a factor you should keep in mind. What if you get your party all set up, your brand new speakers have just shown up and you're excited to get it going. But for some reason, your speakers and your device or sound system are not compatible. It is not a quick fix to get an entirely new sound system set up at the last minute. Be sure to check that your connectivity is strong enough and compatible with your device. You will save yourself some unnecessary headaches later on. You're probably itching to get to buying the right party speakers for your shindig. Hopefully, we have provided you with all the necessary information in order for you to make an informed buying decision. Pretty soon, you will be the talk of the town after your next big throw-down.